Sue Knowles brings understanding and maturity to her role having worked in management and owned properties since her early 20s. She appreciates the opportunity Eves provides her to grow a business with good management support. Sue has been a property manager since 2007 and puts her success down to loving the challenge of keeping many 'balls in the air', ensuring properties are maintained to a high standard, excellent property to tenant matching and getting the best results for her landlords and tenants. She takes advantage of Eves' ongoing training and the cooperative environment she works in. A 'happy' tenancy is very important to her. "I value both landlords and tenants and build good working relationships where tenants are proud to keep their homes as if they were their own and landlords trust my judgment." I was recommended to Sue Knowles from a friend who spoke highly of Sue's work. I met Sue late August 2014 - when my property was left trashed by previous tenants. From the onset, Sue was encouraging and understanding of my situation with the property, as well as confident that she would be able to find suitable tenants very quickly. Compared to my previous experience, I immediately felt comfortable and confident in Sue and her ability to deliver to my expectations. To her credit, Sue has lived up to expectations. I can honestly say that I have full confidence in Sue Knowles and know that my property is in good hands. I trust her expertise completely. I absolutely recommend her for any Realty awards that your company has. Sue is worth her weight in gold!! Relaxation for Sue is horse riding - trekking, hunting and dressage - and mountain biking. Her close family endorse and support her busy life. This is a reference for Sue Knowles, who was our property manager for three years in Rotorua. Our experience with Sue was outstanding - from beginning to end, she was always reasonable and understanding and from a tenant's perspective, it gave us peace of mind knowing that we had help whenever we needed it. Her care of the property was at a very high level; a standard we haven't seen from a property manager before. Thanks so much. Sue is amazing at what she does, she keeps us up to date with everything that is happening with our properties as well as takes care of all issues as required. We highly recommend her if you are looking for new management of your properties. 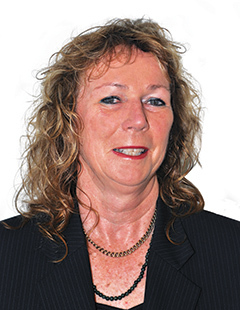 Having recently sold my portfolio of properties in Rotorua, I would like you to pass on my thanks to Sue Knowles. Sue managed 22 of my rentals. I found her to be extremely professional and competent at all times. Sue was more than just my property manager. She is a loyal friend. I would have no reservations in recommending Sue to any landlord. It has been my pleasure working with her. Well done Sue. I just want to mention that Sue Knowles is a fantastic property manager. The quality of her work/reports/photo's provides me with accurate information about the condition of my property. I have peace of mind & total trust in Sue’s ability to treat my property as if it is her own. Thank you Sue, for your continuous awesome work. I can honestly say that I have full confidence in Sue Knowles and know that my property is in good hands. I trust her expertise completely. I absolutely recommend her for the Realty awards that your company has. Sue is worth her weight in gold!! Just a little note to thank you heaps for the wonderful way you looked after our rental property. We did appreciate your promptness in dealing with all of the little issues that such properties create - maintenance, rent paid in timely fashion, and especially finding good tenants. Because of the way you went about the business and because you kept us in the loop constantly we had no surprises and plenty of confidence in you and your amiable professionalism and personal interest. So thank you Sue. If the house isn't sold by early Feb we'll be back knocking on your office door. Sue has been my agent for just over a year now, and right from the first time we meet she has been brilliant. Sue went out of her way to get me the property that I currently rent and since then she has been professional, understanding, approachable and extremely easy to communicate with which has made my experience at 2 Ridge Road very memorable. Sue has the unique ability to deal with you on a personal level and to make you feel like she has your best interests at heart, and I would gladly recommend her to anyone thinking of renting a property with Eves.